Mapletree Industrial Trust - CIMB Research 2018-01-24: Don’t Swim Against The Tide Or Only Fools Rush In? Mapletree Industrial Trust - Don’t Swim Against The Tide Or Only Fools Rush In? Mapletree Industrial Trust (MINT)'s 9MFY3/18 DPU of 8.80 Scts (+3.4%) was slightly above our expectation, though in line with consensus, at 77% of our full-year forecast. 3QFY18 DPU was at 25%. Singapore occupancy fell 0.3% pt q-o-q to 90.1% in 3QFY18 due to lower occupancies in flatted factories and business parks. We are encouraged by healthy signing rents at 30A Kallang Place (expected to TOP in 1Q18) which could translate to more than 9% yield on cost. With the acquisition of the 40% interest in 14 data centres in the US and private placement of new units, gearing increased to 33.8% (2QFY18: 30%). Mea culpa – we were too early to downgrade MINT on valuations. With a visible DPU growth path, we upgrade Mapletree Industrial Trust from Hold to ADD. Mapletree Industrial Trust's 3QFY17 DPU grew 1.8% y-o-y to 2.88 Scts due to contribution from the build-to-suit (BTS) project for HP (both phases contributed). Growth was partially offset by lower Singapore occupancy. Mapletree Industrial Trust also recorded inaugural contribution from its 40% interest in Mapletree Redwood Data Centre Trust (“MRDCT”) (the vehicle which owns the 14 data centres in the US; acquisition was completed on 20 Dec 2017). We note that the JV’s contributions (S$0.7m) were not included in 3QFY18 distributions, and the 12-day profit run seems to be higher than our expectation. Singapore occupancy fell 0.3% pt q-o-q to 90.1% in 3QFY18 due mainly to lower occupancies in flatted factories (down 1.8% pt q-o-q to 88.7% as HGST gave up some space) and business parks (down 12.8% pt q-o-q as J&J vacated from The Strategy). Flatted factories experienced -1.6% rental reversion in the quarter; business parks’ rents remained resilient. Mapletree Industrial Trust has backfilled 23% of space vacated by J&J; it would take 6-9 months to backfill the space completely. New rents are around the same as previous. The S$77m-30A Kallang Place (classified as Hi-Tech building) is expected to TOP (temporary occupation permit) in 1QCY18. Current pre-commitment is c.12%; Mapletree Industrial Trust is working on another 16-18% and seeks to achieve 30% committed occupancy come 2QCY18. It targets to achieve 75% committed occupancy by end-CY18. Accordingly, we have modeled in average occupancy of 25%/75% for the building for FY19F/FY20F. Average signing rent at the property is healthy at c.S$3.50 psf pm (vs. our expectation of sub-S$3), and higher than average rents of c.S$1.95 at other buildings in Kallang Basin 4 cluster. Occupiers are from tech/IT sector. At stabilised 85% occupancy, average passing rent of S$3.50 could translate to more than 9% yield on cost for the development. In addition, we have increased our FY18F DPU on higher revenue assumptions, and tweaked our FY19F/20F by -0.2%/+0.3%. 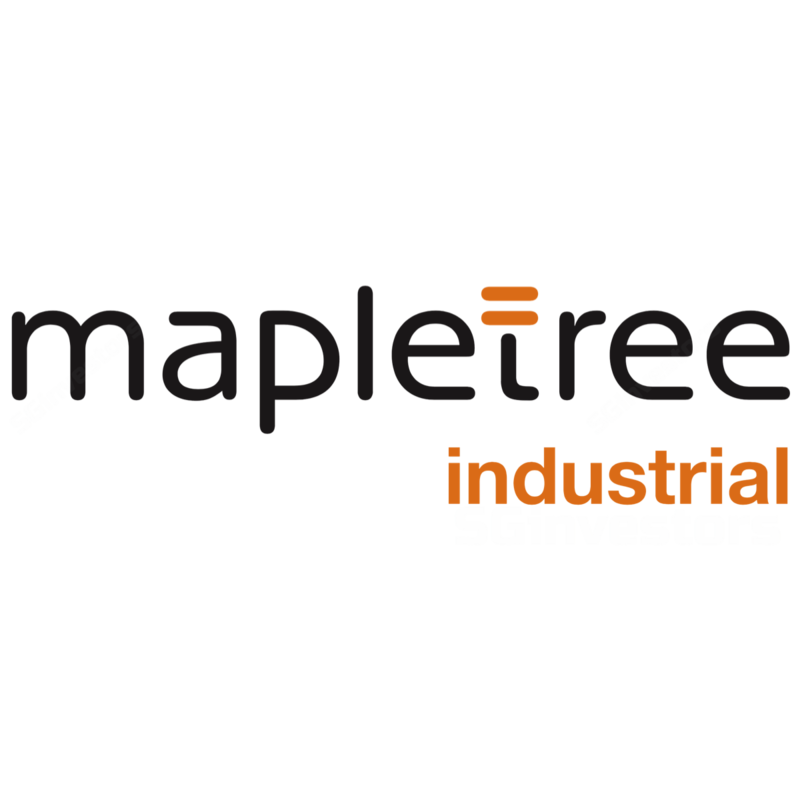 Mea culpa – we were too early to downgrade Mapletree Industrial Trust on valuations. Acknowledging continued interest in the sector, we upgrade Mapletree Industrial Trust from Hold to ADD. Backed by BTS for HP, another BTS for a new data centre, full-year contribution from the US data centres and ramp-up in 30A Kallang Place, we project 4.6% DPU CAGR for FY17-FY20F. Our Target Price is raised (to S$2.16) as we roll forward our DDM-valuation and input higher LTG. Downside risk is a turn in investor sentiment.